' Pinterest: Not just for pinning - Sisters, What! I have to admit I LOVE Pinterest. It totally speaks to my organized mind. I love having a place to put all the things that I want to try. I love that no matter where I am I can access my Pinterest page (I use the app on my IPhone) and see what I need to purchase for any given recipe or project. I love love love Pinterest. That being said I need to also admit how much time I have spent on Pinterest and how many projects I have pinned and NOT made and how many recipes I have pinned and NOT made. So this last week I decided that I would change all that. I made my grocery list and picked a few recipes I found on Pinterest and went at it. Surprisingly I picked five winners. I will tell you all a little bit about each one and what I liked about it. Enjoy! Zac and I made this one on Sunday for dinner. We had some friends over and didn't get to cooking till late so I was worried that we wouldn't eat till late since we were trying a new recipe. This was not the case. This recipe came together really fast. 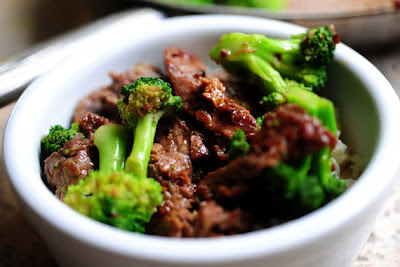 Because it does come together really fast I would suggest prepping each sauce and cutting both the meat and the broccoli ahead of time so that all you need to do is throw everything together as in the recipe. It was so good. Everyone loved it...even my picky 2 year old. Plus I got points from my 8 year old for finally making homemade Chinese food. We will be making this one again. You can find the recipe and excellent tutorial here. This was yet another easy recipe but for a different reason. I made this one around lunch time and then threw it in the fridge till dinner time. Easy easy. The only thing I would change about this one it to cut the chicken breasts up into smaller pieces so that the topping can cover more of the chicken...it was pretty good. Also I added a scoop of mayo to the recipe...turned out wonderful and again all the family enjoyed and even asked for seconds. Find the recipe here. This recipe was a bit more involved and required a bit of planning. I am not saying it was hard but it did require me to do some prep work. Yet again the family loved this one. I made all three bread rolls and we only ate one and a half. 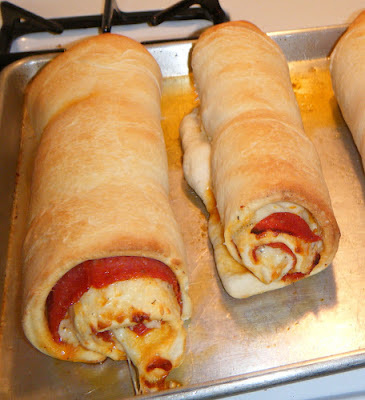 We also heated some marinara sauce and used it to dunk the rolls in. I sliced this baby up like a sweet roll. The kids loved it...the hubby said it was like fancy pizza. Will do again. Find the recipe here. I just have to start off saying that I have a horrible track record with large hunks of meat. I either cook them too long and they are totally dried out or I don't cook them long enough and we end up having all the sides for Thanksgiving and no turkey. So this said I was a bit nervous to try this big hunk of meat recipe. Turns out I shouldn't have worried. This recipe was easy and fool proof. 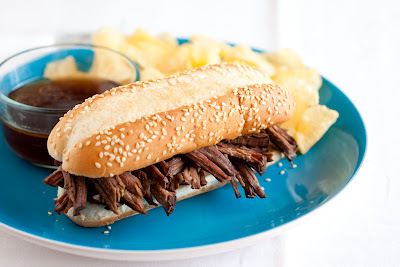 While everyone didn't like it...my 8 year old decided he doesn't like red meat sandwiches...not sure where that came from since he regularly asks for hamburgers...what ever. Everyone else loved them. My 10 year old even had seconds. Yum yum. Go check out the recipe over here. This was a last minute try...my 10 year old wanted to make a dessert on Sunday about 30 minutes before dinner and this pin popped into my head. Only THREE ingredients and super yummy. 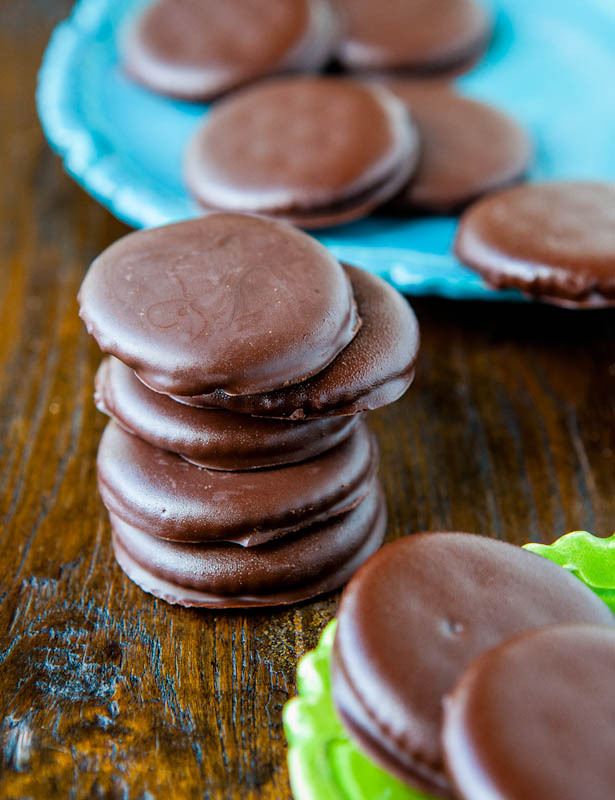 The recipe claims that they taste super similar to the Girl Scout Thin Mints and I have to agree. They really were yummy. On top of being super delish they were also super easy and fast to make. Actually they were so easy that next time we make this (probably for Christmas) Anne will be able to make them herself...that easy. Go forth and enjoy this recipe here. Ok that is my Pinterest review for the week...what are you all pinning and making this week? Mmm yummy! Trying not to drool on my iPad. I've been pinning home improvement pins lately. We just moved and I'm trying to make our new home look good. you've inspired me to do more pinterest recipes. YUM! I have a post like this on my blog today with just desserts! I love it when others try things out. Now I'm hungry!